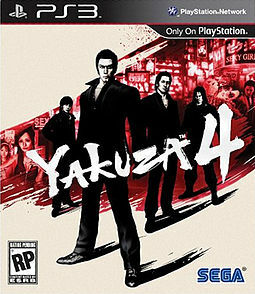 As with the original game, most of the action takes place in Kamurocho (a.k.a. Kamuro City), a fictionalized yet realistic recreation of Shinjuku's red-light district, Kabukichō. Three new locations have been added since Yakuza 3 - a rooftop area, which stretches across a large area of the town; the back streets of Kamurocho, known as "Rojiura" (路地裏? ); and a third area called the underground (or "chika" (地下? )), which includes the city's sewers, parking lot and shopping arcades. The underground area is also known as "Kamuchika" (カムチカ? ), short for "Kamuro Chika" or "Kamuro Underground". Would you rather fish for Zombies, or play Tennis with them? Check out a bunch of different zombie types to be featured in Yakuza 4, even some "playful" ones.
" I ain't even mad"